There are a number of different methods, both in space and on the ground, that scientists and satellite operators use to study space debris. Debris as small as 1 cm can be identified from the ground, but smaller pieces of debris in unstable orbits makes tracking difficult. This is an important first step for both the mitigation, protection, and potential removal of orbital debris. There are two main types: ground-based radars, ground-based telescopes, space-based telescopes, and sensors. In 2015, far east of Brazil in the south Atlantic Ocean on Ascension Island, NASA built the MS-MCAT to collect optical sensor observations of orbital debris with the goal of sampling the characteristics of debris from low Earth to geosynchronous orbit. MS-MCAT also provides measurements to the U.S. Air Force’s Space Surveillance Network. MODEST is located at the Cerro Tololo Inter-American Observatory north of Santiago, Chile. The ground-based telescope is meant to search for uncatalogued fragments, conducting optical surveys of the Earth’s atmosphere to discover debris and discover more about their orbits and properties. Observations are often evaluated in conjunction with observations from the neighboring SMARTS 0.9m telescope which allows for extended observations. The Fraunhofer Institute for High Frequency Physics and Radar Techniques outside of Bonn, Germany operates the TIRA radar for L-band debris detection and ‘beam park’ experiments, where a beam is pointed in a fixed direction at the sky, detecting any objects that pass through it. L-band is the most commonly used frequency of 1-2 GHz on the radio spectrum used to monitor space debris. A graphic representation of the SDS mounted on the exterior of the Columbus module on the ISS. The Space Debris Sensor is an impact sensor attached to the outside of the International Space Station that monitors impacts created by small-scale space debris for two to three years. The sensor records the time and scale of impacts so scientists can monitor the risks and generate more accurate estimates of how much small-scale debris exists in space. DebrisSat is a collaboration with NASA, the U.S. Air Force, the AeroSpace Corporation, and the University of Florida to conduct laboratory-based hypervelocity impact experiments on a mock 56-kg spacecraft in a simulated low Earth orbit environment. The goal is to learn more about the physical properties of impact fragments to improve satellite breakup models and space situational awareness. An international partnership involving 10 countries operates EISCAT out of Tromsø, Norway in coordination with radar systems in Longyearbyen, Svalbard. A dedicated space-debris computer runs statistical observations of LEO debris as a secondary mission of EISCAT. This program was key in monitoring the infamous FengYun-1C debris cloud created when China destroyed its own weather satellite. 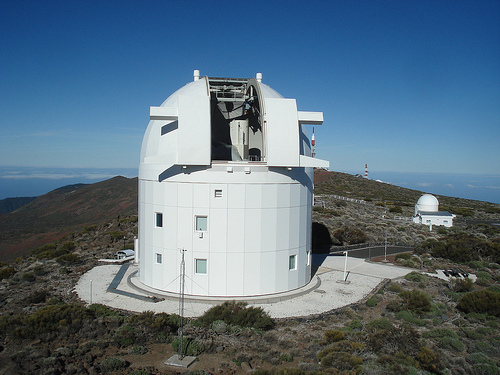 OGS, operated by the Instituto de Astrofísica de Canarias, began monitoring space debris since 2001 at the Teide Observatory on Tenerife, Spain. It has a 1 m-diameter telescope used to identify and track objects near geostationary orbit. 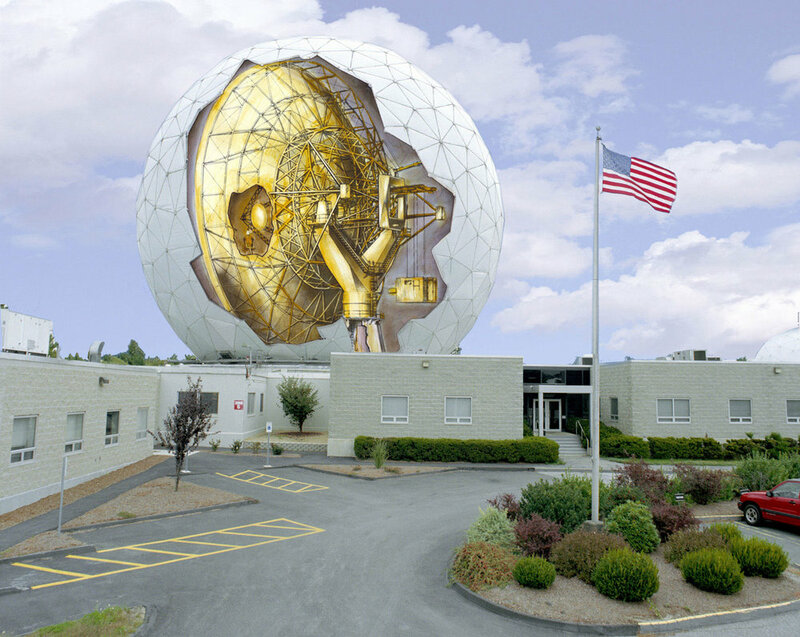 At MIT’s Haystack Observatory in Massachusetts, is the Haystack Auxiliary Radar constructed in 1993 to collect observation of space debris and contribute to the U.S. Space Surveillance Network. 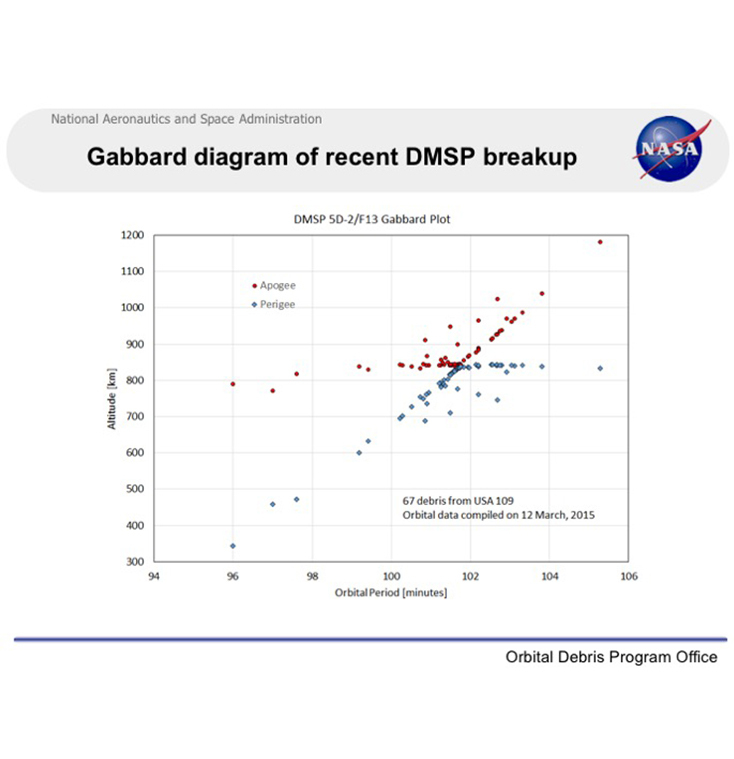 Space agencies and research institutions use Gabbard Diagrams to study the breakup of space debris early after the event. Developed by North American Aerospace Defense Command (NORAD) employee John Gabbard, shown left is a a Gabbard diagram plotting 67 pieces of debris from the explosion of the US DMSP-F13 military weather satellite in February 2015. The perigee (point of orbit closest to the Earth) and the apogee (point of orbit furthest from the Earth) of each fragment is plotted in respect to the orbital period. Space surveillance networks often fall under programs meant to improve Space Situational Awareness (SSA). Most SSA programs are meant to identify and track all objects orbiting the Earth, but orbital debris is a key component. These are often networks with observation stations and contributors located around the world so objects in space can be tracked in any position in orbit. Operated by the US Strategic Command’s Joint Functional Component Command for Space (USSTRATCOM) since 1957, the SSN detects and tracks all man-made objects orbiting the Earth. About 78 percent of the objects tracked by SNN are debris and dead satellites. Using a ground-based radar and optical sensor network at 25 sites worldwide, SSN is capable of tracking objects 10 cm in diameter and larger. SSN uses predictive analytics to monitor debris, spot checking their location rather than continuously tracking them. This is done using phased-array radars, conventional radars, and the Ground-Based Electro-Optical Deep Space Surveillance System (GEODSS). Data from around the world is directed to the Space Control Center (SCC) tucked away in Colorado Springs, Colorado at the Cheyenne Mountain Air Station. This data is transmitted via every available means of communication so it can be accessed quickly: satellite, ground wire, microwave, and phone. SSN also maintains a space catalog of all known satellites in orbit, recorded with an identification number. This data is made available through Space-Track.org. Search StuffIn.Space for a visual representation of the known locations of all satellites cataloged by the SSN. Within European Space Agency’s (ESA) SSA program is their Space Surveillance and Tracking (SST) segment based in Darmstadt, Germany out of the European Space Operations Centre (ESOC). 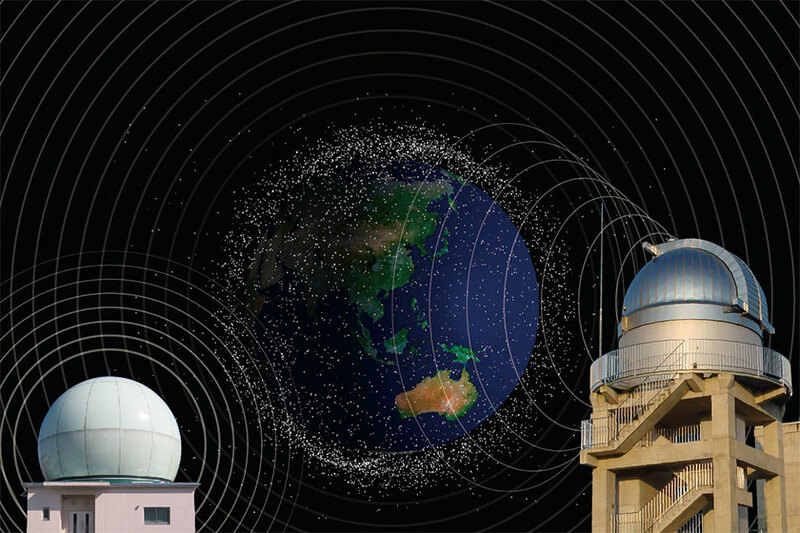 SST has proposed a dedicated system of telescopes, radars, and sensors to track orbital debris, improve collision avoidance systems, and create a new, updated catalog of debris in orbit. The program is still under development. A loose network of prototype sensors were deployed worldwide between 2013 and 2016. Currently, the SST is focusing on software development and advancing sensor and hardware development. Scheduled to come online in 2019 is the U.S. Air Force’s Space Fence, a high-frequency, S-band ground radar system built by Lockheed Martin on the Marshall Islands for the U.S. Air Force. As objects in space pass through the projected radar field in orbit, analysts will be able to catalogue their characteristics and monitor their paths, so they can predict and hopefully prevent collisions. This data will be fed into the United States’ broader Space Surveillance Network.